I recently received recognition for 20 years as a PADI Professional – a proud moment for me. Now, as a PADI Regional Training Consultant, I look back at two decades in the industry and am grateful for the journey I have been on. It has been a passion that becomes a wonderful career. Prior to this role, as a Course Director, most of my career has been focused on instructor level training, which brings me to my question – have you thought about becoming a PADI Instructor? Getting this ticket truly allows you to travel the world and meet some incredible industry colleagues. It is still the dream job for young and/or innovative people. If you feel comfortable helping others, if you love the ocean as much as I do and if you’re ready to be a student for life, you will have a bright future as a PADI Instructor. Once you have decided to take this step, please allow me to share of few tips on how to become successful. Remain humble and stay positive. Being positive and optimistic and smiling by default, will motivate and inspire others around you. You will touch the lives of so many as a PADI Instructor, so make sure it’s a positive memory you leave them with. Be more than a role model – be a mentor. Remember, that the PADI system of diver education is student-centered. So display proper attitude at all times and leave your ego at the door. Persevere and expand your knowledge. Stay updated on new diving techniques, advancements in technology and equipment changes. Continue your own education and be a student yourself. That will help you understand how your students may feel under your tuition. Consider enrolling in programs that make you a stronger ambassador to the underwater environment. Divers today want to learn from those who care about something bigger than themselves. Be punctual, organized and adaptable. People depend on your choices. You are there to show our future divers proper attitude. Arrive early for classroom or confined sessions. Make sure everything is set up and ready to go when your divers arrive. Accept that logistics in your PADI Dive Centre do change and are dependent on many factors. Dive Center owners need flexible instructors that know how to adapt to unexpected situations or when under pressure. Be sociable and available. It is important to spend time with your diver students. Not just in a classroom or in the water, but during surface intervals and breaks. Remember that sociable and professional often go hand in hand (more on professionalism later). Take and make the time to have lunch with your divers. Your body and brain need food to perform at an optimum. Lunch with your students is the perfect moment in time to share experiences with your divers and become friends. At the end of the day don’t run home when the clock strikes 5:00pm, take the time to debrief and listen to your student’s needs. Be professional. You will be judged against expectations and standards. Your image and competence is important. Respect your students and pay attention to how you communicate with them. Be committed, courteous and supportive. We all learn differently, so listen to their needs. I strongly believe that these few tips will help you to have a long and successful career. If you’re currently a part-time Divemaster, it may be a challenge for you to leave behind another career that you’re attached too. I made the choice to become a full time Instructor some time ago and never regretted it. Change is positive. With the right attitude becoming a PADI Instructor will be a life changing event. Get out there and visit a PADI IDC or CDC near you and earn the most sought-after credential in the diving industry. We are excited to announce a brand new video for the PADI Divemaster course on the PADI YouTube Channel. The video focuses on inspiring new and existing divers to take the next step and Go PRO. Share the video across your website and social media channels to inspire existing customers and even their non-diving friends to choose the PADI Professional lifestyle. Play the video on-screen in your store to attract the attention of visitors to your shop who might be thinking of their next steps in diving. Show the video as part of a final presentation at the end of the PADI Rescue Diver course to inspire your new Rescue Divers to continue their adventures with you. Include the video in an email newsletter targeted at your existing Rescue Divers along with a limited edition promotional offer to encourage course bookings. Should you have any questions or need assistance on utilising this video, or other PADI marketing material, please contact your PADI Regional Manager. Many Divemaster candidates have been working hard all year and the applications have been streaming in. We strive to process all applications promptly, however they are occasionally delayed due to missing documentation. The most common issue is missing documentation when the applicant has completed a non-EFR first aid and CPR course. Non-EFR first aid/ CPR courses can meet the requirement for Divemaster; however, documentation of course completion must be included with the application. The PADI Instructor Manual lists the qualifying certification description for EFR Primary Care as proof of current CPR training, and for EFR Secondary Care as proof of current first aid training. Most CPR/first aid courses are accepted provided they meet current emergency care guidelines. If you’re uncertain about whether your candidate’s CPR/first aid course meets the necessary requirements, please contact the Training Departmentvia email traindep@padi.com.auto verify. Please note: first aid and CPR courses taught entirely online do not meet Divemaster requirements (nor do they meet other first aid/CPR requirements for other PADI courses). When submitting prerequisite certifications from other organizations, including CPR/first aid coursecompletions, make sure that copies of these are attached to the application. Provide payment details is required. A copy of both sides of the certifying organization’s certification card. A copy of the certifying organization’s wall certificate. For current DM fees, please contact the PADI Asia Pacific Membership Department via email at memdep@padi.com.au. PADI Divemaster, (Assistant) Instructor and other PADI Pro level training clearly list the important course prerequisite that the candidate must be medically evaluated and cleared for diving by a physician within 12 months. As this is a course prerequisite, both the PADI Instructor conducting the course and the PADI dive shop where the training is conducted are responsible to ensure that this dive medical is in place prior to starting the course – or at the very latest before conducting any in-water sessions (also if these take place in swimming pool or confined water). It is a violation of PADI Training Standards to take candidates into the water for training activities while not yet having a fit to dive medical on file. The above also applies for any students on other PADI courses that involve dives and where they indicated “Yes” to any question(s) on the Medical Statement / Questionnaire. If their medical condition changes during the course, they must be re-evaluated and again cleared for diving by a physician prior to continuing the training. A fit to dive medical must also still be valid (less than one year old) at time of course completion. Want to train more PADI Dive Professionals in 2015? If attracting more divers to sign up for PADI professional level courses is in your business plan for 2015 then why not run a PADI ‘Go Pro’ event with your Regional Manager? Many people decide even before they learn to dive that this is the path for them however some divers may need some further information to know what their options are and also what opportunities await them as PADI Professionals. Conducting a Go Pro event enables you to invite potentially interested parties along for a relaxed and informative evening. Your Regional Manager can assist with the presentation and provide information about the PADI benefits for members. These events can be for divers of any level and you can promote anything from the PADI Divemaster programme up to and including the PADI Instructor Specialties and IDC Staff Instructor if your facility can offer these programmes. For more information on conducting one of these events contact your PADI Regional Manager. One of the most nerve-wracking experiences as a parent teaching your teenager how to drive a car is when you have them drive out of a safe parking lot area out into real “live” traffic. No matter how stressful this transition is, it is one that has to be made, in order for the driver student to learn how to adapt to everyday traffic situations. This is very similar when upgrading a PADI Divemaster to a PADI Discover Scuba Diving (DSD) Leader. During the PADI Divemaster course many, if not most exercises, can be conducted in role-playing simulations. However, for the PADI Discover Scuba Diving Leader internship the PADI DSD Leader candidate must conduct four separate real (not simulated) PADI Discover Scuba Diving programs in confined water under the direct supervision of a PADI Instructor. PADI DSD Leader interns must show their ability to conduct effective briefings, in-water supervision and debriefings with non-certified divers. Sometimes the performance requirements for the PADI DSD Leader rating get overlooked as they are not located within the PADI Divemaster Course Instructor Guide itself; instead the instructor has to locate them in the PADI Professional Ratings section of the Professional Membership Guide in the Instructor Manual. There is also a separate Discover Scuba Diving Internship Completion Form #10151, available on the PADI Pros Site. This form also doubles up as the application form, once the four PADI DSD program requirements have been met along with successful completion of the PADI DSD Leader assessment. The knowledge assessment for this internship, called the PADI Discover Scuba Diving Leader Assessment, can be found on the PADI Pros Site along with the answer key. As a PADI Instructor conducting PADI Divemaster courses, it is very important to offer your candidates the PADI DSD Leader Internship option, as many of them will be interested in being able to take non-divers for their first breath underwater, which we all know is a life-changing experience. In resort environments, the PADI DSD Leader rating is a prerequisite for some positions at busy dive centres and can significantly boost a dive pro’s income. Prospective PADI DSD Leaders are often so enthusiastic about their job, it has to be very clearly explained to them about the maximum ratios of 4:1 in the pool and 2:1 in confined water and that their PADI DSD participants are NOT qualified to undertake a subsequent open water dive, as their initial skills introduction was not with a PADI Instructor. Describe a typical day in your working life as a PADI Divemaster. A typical day at the Scuba Nation Dive Centre involves arriving at the shop at about 6.00am, packing all the equipment prepared the day before into the truck and waiting for the arrival of the customers at 7.00am. We then head to the boat which is moored at the local port – stopping at the bakery on the way for freshly baked, still-warm, baguettes. At the pier, we guide the customers on board and load on the dive gear and supplies. During the two hour trip to the local dive sites, we give the customers a boat briefing, prepare some fruit and baguettes for breakfast and ready the equipment for the first dive. After a further briefing on arrival at the site we commence the first dive, then it’s lunch and a siesta before the second dive. We then head back to the shop where we prepare the gear for the next day, then head home and rest up so we can do it all again tomorrow. I started diving in October 2012. I had intended to do the PADI Open Water course in Thailand, but a friend of a friend that lived in Thailand had recently done the PADI Advanced course in Cambodia and said it was a great place to do the course, so I decided to go there instead. In February of 2014, after having had such a great experience completing the PADI Open Water and Advanced courses at the Scuba Nation Dive Centre in Cambodia 18 months earlier, I decided to return and complete the PADI Rescue and PADI Divemaster courses. I have always enjoyed working outdoors in hands-on professions and after breaking both my right ankle and shoulder within a two year period, I decided that I could use a break from the laborious landscaping lifestyle and that a sea change was in order. The dive sites of Cambodia were amazing (some of the most beautiful in the region) and a highlight in themselves. A further highlight was assisting on a search and recovery operation after a local fishing boat went missing. I would love to dive the Cenotes in Mexico – the clear waters are very alluring. I would also love to try some river drift diving in New Zealand – a dive I think would be very exhilarating. My most memorable dive was a night dive in Ewens Ponds, near Mt. Gambier in South Australia. The water was crystal clear, my friend and I had the pond to ourselves, there was a full moon and we spent most of the time with our torches off – enjoying the majesty of seeing each other’s silhouettes slowly gliding through the invisible water as if we both were flying. Whether you have never dived before or you wish to upgrade your certification, the PADI Divemaster course is an amazing experience. Anyone can do it, as it is not exclusively for those who wish to work as professionals. During the course you will become a wiser, safer, more confident and more skilled diver. Participating in and completing the PADI Divemaster course was one of the greatest things I have ever done, as I am now able to live, work, travel and dive all over the world – becoming a PADI Divemaster is one thing I will certainly never regret doing! PADI recently interviewed Cameron Schwaiger from Kew in Victoria who took up his dream job as a PADI Divemaster at Academy of Scuba, a PADI 5 Star Instructor Development Centre in Glen Iris and Rye. Read what he has to say. For me diving is an activity I love to do outside my full time work. It normally involves getting up early on the weekends and making my way down the Mornington Peninsula. I discuss with the staff in the dive shop about who will be diving that day, to understand what their experience is. For a guided dive, I provide the divers with the briefing and find out what they most want to get out of it and if anyone has concerns. After the dive, we usually discuss what we saw and any other relevant points about the experience. Many of the divers often become friends and sometimes I think the dive is just an excuse to catch-up with others! When I’m assisting on a course and haven’t worked with a particular Instructor before, we will begin with a discussion on how the course is to be run and what their expectations are. I help with the gear, answer any questions and make the students feel comfortable. Then the fun part begins – the dives! My main role here is to help keep a watch on the students and assist them if needed. After the dive, we return the gear, discuss the diving and complete the paperwork. Finally its congratulations to those who have completed their course, with grins all round! Growing up, I had always spent a lot of time in the water. For example, when I was a kid I used to think it was funny to hide from Mum by staying down at the bottom of the pool for as long as I could. Scuba diving started when I did a PADI Open Water Course at University, a long time ago! I was then mainly tropical diving on holidays until I had more time in Melbourne, where I became addicted to the waters here. I became a PADI Divemaster in 2011 with a great bunch of students. Kat Vcelka was our fantastic PADI Instructor from Academy of Scuba in Victoria. Diving is so much fun, so who wouldn’t want to spend more time in the water! Seriously, I wanted to learn more and also be involved with showing others how fantastic it is. I didn’t realise until I started to work with different Instructors how everyone has their own approach to teaching and it’s a great way to learn. It is also a stepping stone towards being a PADI Instructor, one day! The in-depth learning was very interesting – I absorbed so much more about diving. The skills were a challenge, but lots of fun to do and also hearing about all the terrific diving stories from our PADI Instructor. And then finally getting to assist as an intern on the courses. So many, but Galapagos Islands for the diversity of animal life both on land and in the water, Truk Lagoon for the wrecks and anywhere at all to see Whale Sharks! Sipadan Island in Malaysia, where in one dive, due to the steep drop offs, we saw the ultimate combination of masses of tropical fish along with the pelagics in the deeper water. 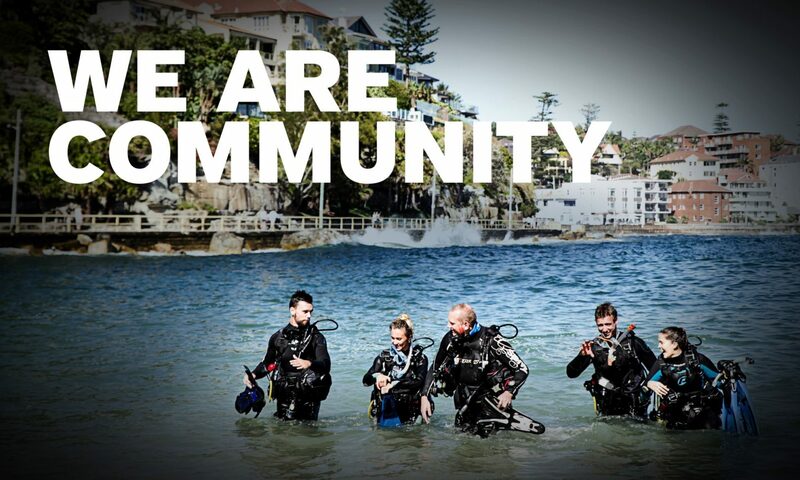 If you love diving, want to learn more and find helping others rewarding, have a chat to your local dive store – or other Divemasters and Instructors to understand more about what is involved. Before I became a PADI Divemaster, I lived in China. I would drive every day for an hour to get to the office, check emails, arrange schedules, have meetings and get back home in the evening – a typical 9-5 life. Here in Bohol at Sierra Madre Divers, I begin work in the morning and prepare for two beautiful dives with our guests and the jackfish storm at Balicasag Island. If we have students, I help the PADI Instructor with equipment logistics and assist the class in the pool or in the sea. In the evening we all sit together on the deck at the dive centre to relax and watch the sunset. I’ve been diving since 2011. I became a PADI Divemaster at Sierra Madre Divers in June 2013. I felt so excited and proud! A “PADI Divemaster” is such a cool title and it shows that I am a PADI Professional with more responsibility towards setting a good example in protecting the ocean. What highlights do you recall from your Divemaster course? During my PADI Divemaster course I learnt many things and made new friends from China and other countries all over the world – including Germany, Switzerland, America and Australia. It was also great to learn from the other PADI Instructors here at Sierra Madre Divers. Also diving, and diving every day! Where have you worked as a PADI Pro? So far, at Sierra Madre Divers. Tell us one of your favorite memories in your diving career? I still remember the first time I saw a whale shark in Coron. It’s one of the most unforgettable images and experiences of my life. Any words of advice for new dive professionals? If you really love the diving lifestyle, make sure you seriously consider joining us in this life of being like a fish! At the time of our interview, Jinkai Chen was taking the PADI Instructor Development Course at Sierra Madre Divers. His goal was to become a PADI Instructor. Jinkai has since completed the PADI Instructor Exam – and we are happy to advise that he is now a PADI Open Water Scuba Instructor. Congratulations, Jinkai Chen!